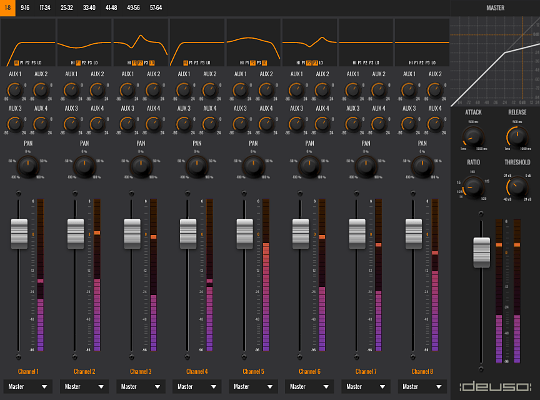 This demo is an interface for a 64 channel mixing console. It is built entirely in AWML and shows many of the widgets in the toolkit library. This technology presentation demonstrates DeusO's Toolkit + AWML widget libraries working in conjunction with the WebAudio API. 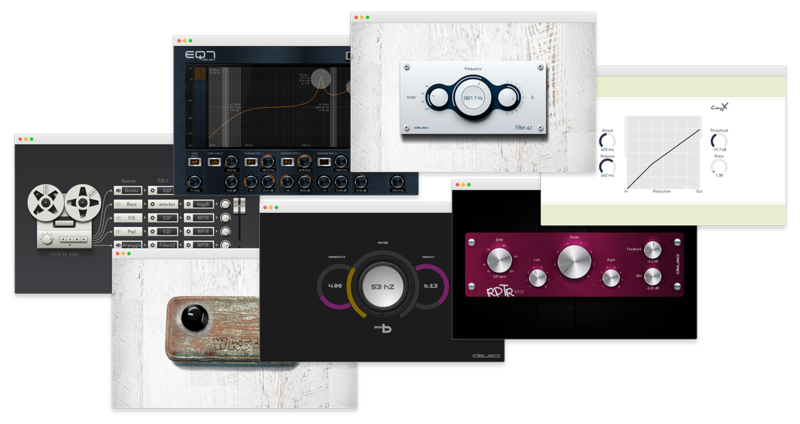 The primary purpose is to showcase the flexibility of Deuso's web-based user interfaces as well as the potential of browser based networked applications for controlling pro-audio equipment.